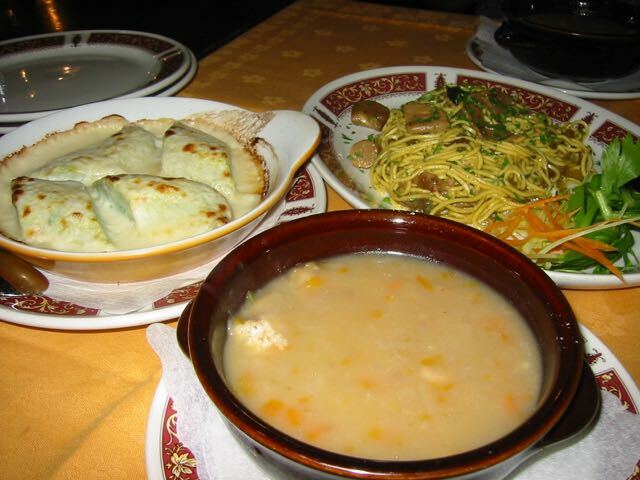 Here’s the only hint you will need to end up in a good restaurant: go down the street, walk until you see a restaurant. Eat there. It’s advice I read in The Food Lover’s Guide to Florence. 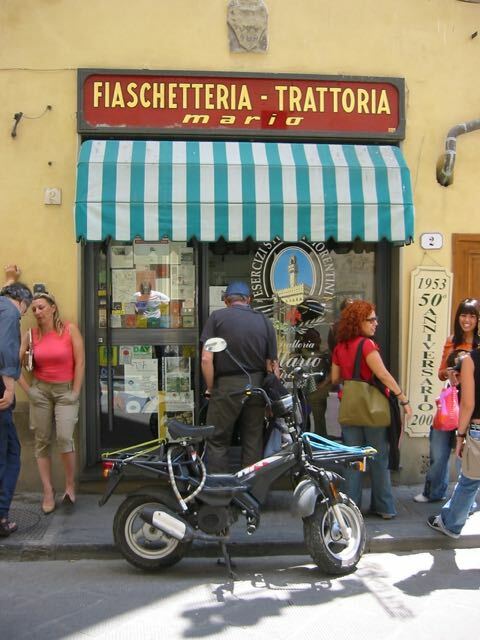 If you do need to buy a book about restaurants in Florence, this is the one to get, so you can optimize for what dishes you want to get from which restaurant. 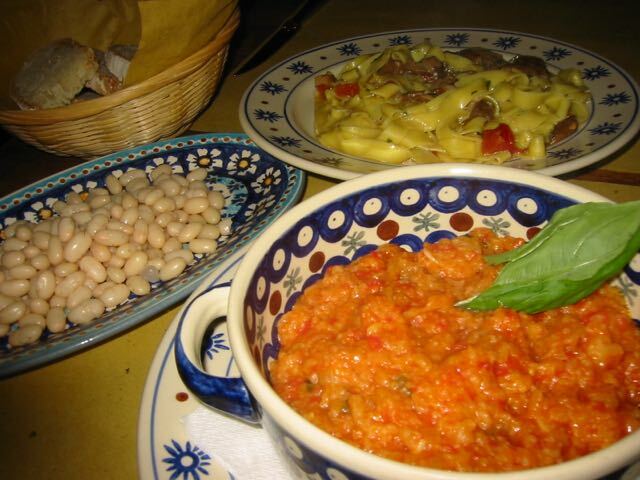 My personal favorite is Trattoria Mario: small menu, lots of locals, shared tables. reasonable prices. It’s legit. Here’s the only hint you need for people with sweet tooth: skip desserts at restaurants. Go find a gelato place or a cafe also selling pastries. Besides, if you have room for desserts at an Italian restaurant, you aren’t doing it right. 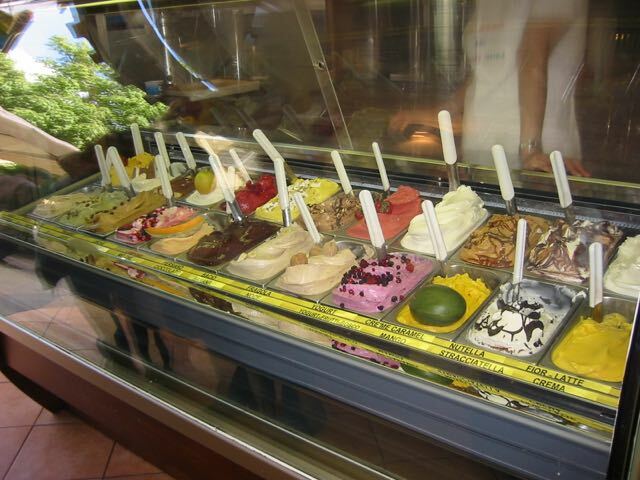 There are hints to finding good gelato places: avoid places that has gelato in tall mounds (esp. of vivid colors topped by fruits that represent the flavor). Find details here. This entry was posted on December 2, 2015 by lavayoda in books, Culture, Food, Travel and tagged Florence, gelato, guide, Italy, restaurants.